The joy of the first strawberry harvest. Yum! Mine aren't doing that well, a sneaky something or other keeps eating them! My friend Sarah is having the same issue. Row covers do wonders... although I have enough that I held off this year and I think we are only loosing the best 20% or so this time around. lol! Those looke yummy! Strawberry season is almost over here in IL and I didn't get any from my local guy this year. 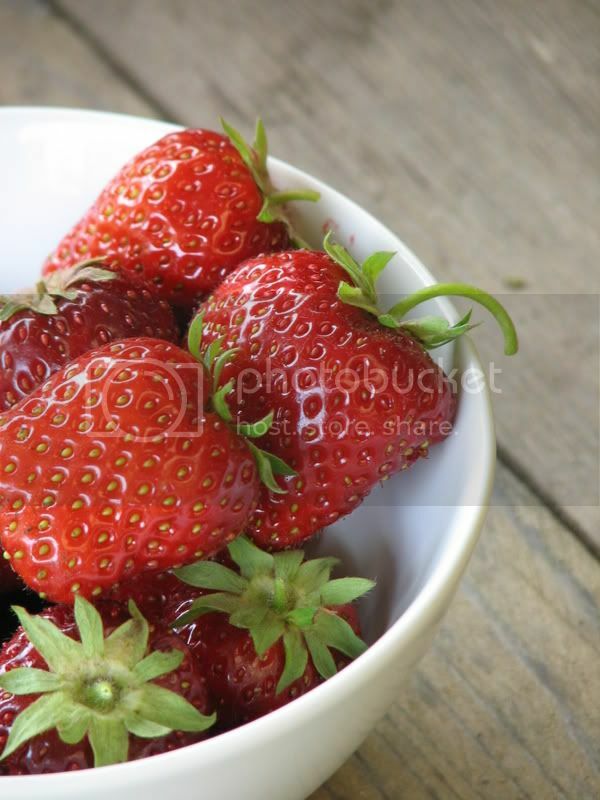 :( I think I will have to grow my own from now on...I love strawberries! yum!!! We just went "strawb"
(as Ruby says it) picking at our local organic farm. They were heavenly! Your picture is gorgous, you could just eat them right off the screen!